On Friday July 27, 2018 the Levy County Sheriff’s Office Criminal Investigations Division arrested three Williston teens. Investigators responded to an abandoned home in Williston in reference to a trespassing compliant. Investigators are familiar with this home having recovered six stolen firearms from the same residence in June. Investigators know this house to be abandoned and are aware local criminals have used the home to hang out, hide stolen property in and sell drugs. The female juveniles were processed and released to parents. Ross was booked in and released to the Department of Juvenile Justice. 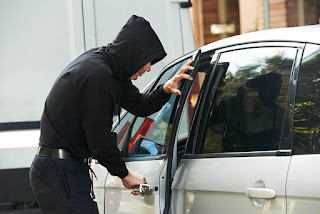 Levy County Sheriff’s Office deputies are currently responding to multiple reports of car burglaries and vehicle thefts that occurred last night in both the Williston Golf and Country Club area and in the Town of Bronson. Investigators believe all of these crimes are related. A 2000 black Ford F-150 long wheel base with a diamond plate tool box and attached Florida tag Y33 QLV was reported stolen Saturday from the Williston area. Our citizens are asked to be on the lookout (BOLO) for this vehicle. This truck may currently be in the Williston or Gainesville area. The owner describes it as being in good shape. The truck has a bug deflector attached to the hood and a UF parking sticker in the front windshield. No other modifications have been made to the truck. This vehicle was seen by a witness in the area of a recently reported vehicle burglary at approximately 6 a.m. this morning. This vehicle has not been located and may still be in possession of the person(s) who stole it. A silver Nissan truck was also reported stolen from the Bronson area and has been located in Williston. A second vehicle was also located in the same location. The owner of this vehicle has confirmed it was stolen, but had not discovered it was missing until our investigators called. Anyone who has information related to these thefts and vehicle burglaries is asked to contact the Sheriff’s Office at 352-486-5111. 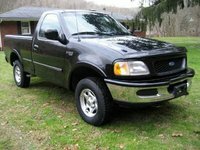 If you see the missing Ford truck, do NOT approach the vehicle and contact 911 immediately. If you wish to remain anonymous please contact Crime Stoppers at 1-877-349-8477. You may be eligible for a cash reward. More than 10 car burglaries and one stolen vehicle report were made to the Levy County Sheriff’s Office in the last 24 hours. All reports came from the same general neighborhood area located north of Williston. The thieves targeted unlocked vehicles and took all types valuables including purses, cash, electronics and firearms. The vehicle that was stolen had the keys left in it by the owner and was later located abandoned in Gainesville. These reports follow a rash of vehicle burglaries in Chiefland last week, near and around the Chiefland Golf and Country Club. All residents are cautioned to lock your vehicles and remove or hide valuables. The Sheriff’s Office Criminal Investigations Division is working on several leads but believe there may be additional information available. If you have information which could aid us in solving these or other vehicle burglaries, please contact the Sheriff’s Office at 352-486-5111 and request to speak to Sergeant Mike Narayan at extension 267. On July 23, 2018 the Levy County Sheriff’s Office Criminal Investigations Division received a burglary complaint from Williston Land and Timber located at 20510 East Levy Street. The owner discovered a generator, flood lights and coolers were stolen from the property on or about the 4th of July. The owner did not make a report to law enforcement immediately after making this discovery. 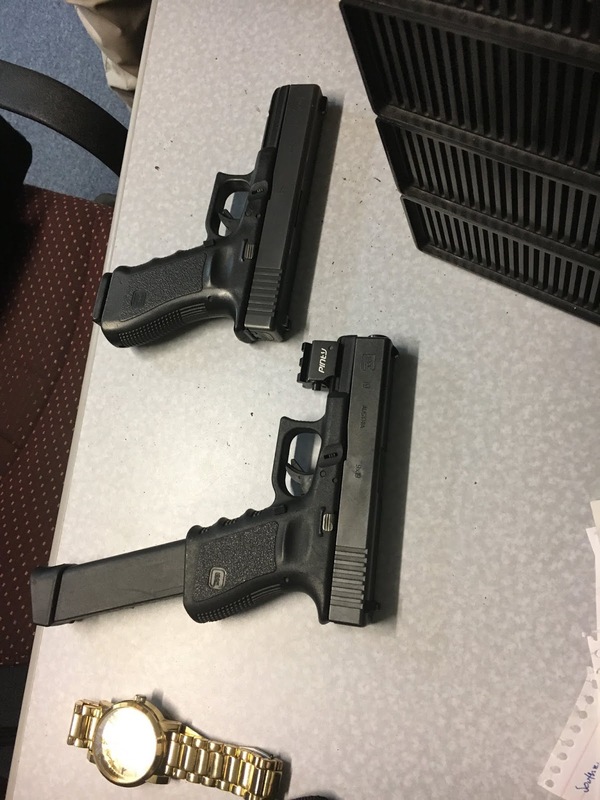 To safeguard his belongings and fearing the suspects may return, the owner purchased and installed surveillance equipment on the property in hopes he would get pictures of the burglars did return. On July 23, 2018 the owner discovered his fears were well founded. More of his property had been stolen. The burglars took another generator, more flood lights and other valuables. He reviewed his surveillance footage and discovered images of a person he recognized. With this knowledge, and the video to prove it, he turned this evidence over to law enforcement. Investigators responded to the home of Johnny Hemby (5-25-93), the person identified in the surveillance video by the victim. Investigators immediately saw one of the reported stolen generators on Hemby’s porch. Investigators spoke to Hemby who explained the reason he took these things is because he was down on his luck. Investigators also identified Max Payne (4-21-92), Hemby’s roommate, as Hemby’s accomplice. Payne told investigators he went with Hemby to the Williston Land and Timber property and helped him take these items only because Hemby said he was given permission to take them. Both men were arrested and transported to the Levy County Detention Facility. Both were charged with two counts of burglary of a structure, and two counts of grand theft. Their bonds have been set at $110,000.00 each. Not every item reported stolen in this case has been recovered. If you, or someone you know, purchased (or are holding) anything either Hemby or Payne sold/gave to you, it’s probably stolen. Please contact Sergeant Mike Narayan at 352-486-5111 ext 267. On Friday, July 20, 2018 at 11:30 a.m. the Levy County Sheriff’s Office received a 911 call. The caller told our 911 communications officers he received an electronic alert that someone was breaking into his house at 18350 SE Butler Road in Inglis. Communication officers immediately dispatched deputies to the home and updated them with information being relayed to them from the caller. Deputy Tucker Gaffey and Deputy Kevin Sheppard arrived on scene and quietly approached the home. They were able to see a person inside the home with a flashlight. The burglar was then seen dropping a pillow case filled with stolen property out of an open window as the deputies approached him. The burglar was holding a large machete as he exited the window to make his get-away and was confronted. Orders given by deputies to drop the machete were ignored by the burglar, so deputies used their Agency issued Taser to take him into custody. The burglar, identified as Mitchael Porterfield (5-3-90) from Inglis, was taken to jail and charged with burglary, grand theft, possession of burglary tools and resisting an officer without violence. Currently Porterfield is being held at the Levy County Detention Bureau and his bond is set at $60,000.00. But, his arrest did not end the investigation. Mitchael Porterfield was suspected of breaking into other homes in Inglis and the northern Crystal River area, stealing to fuel his drug addiction. Members of the LCSO Criminal Investigations Division (CID) developed additional information which allowed them to secure a search warrant for Porterfield’s home. Yesterday, July 23rd at approximately 2:00 pm members of CID and the Patrol Division executed the search warrant on Porterfield’s home and located thousands of dollars in stolen items, including power tools and a go-cart. Several of these stolen items have already been identified by the owners and will be returned. Additional charges will be filed on Porterfield at a later date. Investigators are still attempting to identify other items seized during this investigation. Anyone who has been a recent victim of a theft or home burglary in Inglis or northern Citrus County is asked to contact Investigator Scott Stancil at 352-486-5111 ext. 364. Please make sure you have the case number available from when you made your report to law enforcement and a detailed description of what was stolen.